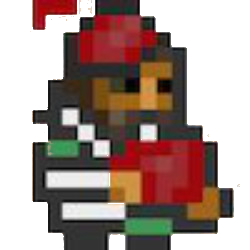 I've made a custom race (with language, sprites for stonesense (body + clothes + equipment), etc) which is supposed to be playable in fortress mode, however I'm not quite sure what to do about nobles. My dwarf fortresses never lived long enough to get a monarch or need a justice system, so I'm not sure how they supposed to function. At the moment I have no nobles defined, and because of that I have no accountant, no medicine, no manager, and no military in fortress mode, which is very inconvenient, although world gen creates "lords" and "ladies" for my race. So what is the absolutely minimum required set of nobles/responsibilities? I need simple structure with minimum fuss - somebody to handle trading, accounting, managment and military + ruler for the town, ruler for entire civilization, and maybe supreme general that controls entire military. Any advice on this? I don't want to copy-paste dwarf nobles, and examining files for elves wasn't very enlightening. At the bare minimum, you could have only one noble that did absolutely everything, though that would be boring from a gameplay perspective. There are a variety of position tokens, though a few of them, such as punishment and work exemption, don't work. Others, such as the tax collector and the dungeon master, are redundant, as they were removed from the game. You seem to have listed all the bare minimums, you need bookkeeping, a trader, a production manager, a health manager, someone who meets with diplomats and unhappy citizens, a military, someone who manages justice, a lawmaker and a leader, and finally an outpost liaison. Some things aren't completely necessary, and may depend on your playstyle, such as the manager or the executioner. A general isn't special, at least in the dwarvern raws. Just a fancier militia commander that heads lieutenants instead of militia captains. The reason you see generic lords and ladies is likely because you have [VARIABLE_POSITIONS:ALL] somewhere in your entity. This tag allows positions to be created as necessary during world-gen, but have no function in-game. That won't stop them from showing up at your fort and making mandates, unfortunately. Thanks for the reply, I kinda figured it out. I used several dwarven nobles as a base, renamed them, modified requirements a bit, and changed who appoints whom, plus I removed every noble who wasn't useful. It seems to work so far.